Yesterday my relatives came for lunch. Instead of making payasam for a change I made Papaya Halwa for a dessert. 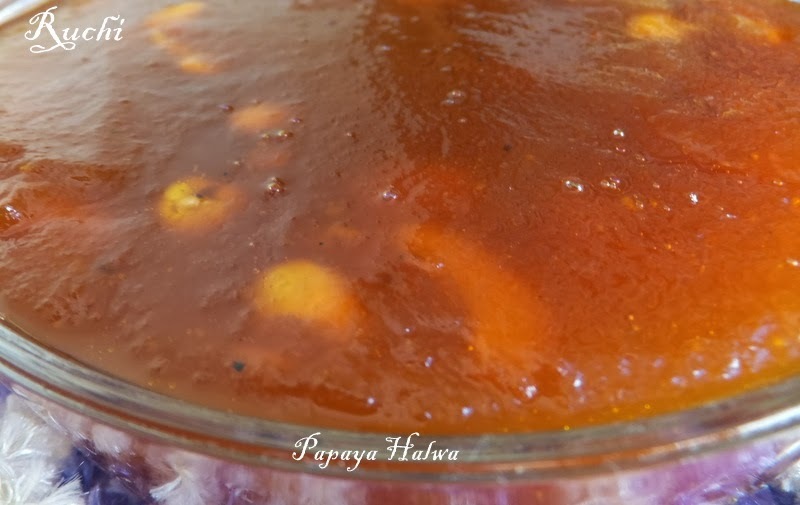 Halwa in any form is a inviting and mouthwatering one .The halwa was damn good and my guest eat it first time and get surprised to know that it's made up of papaya. It gives me much pleasure. I didn’t add any food color.The papaya itself will give natural color. 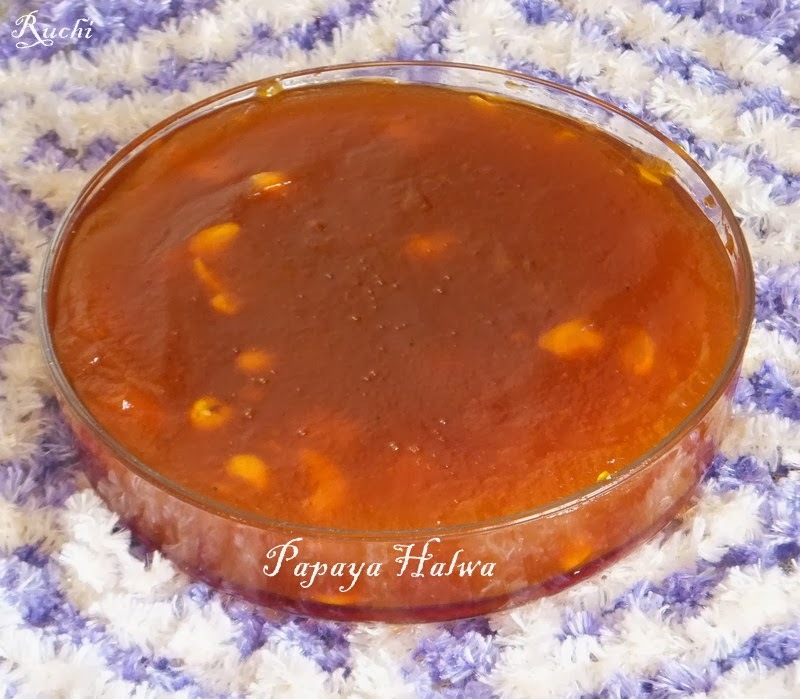 This Papaya Halwa is delicious, nutritious and easy to prepare! So try this recipe and enjoy! 5.Now add 1/2 cup of sugar and stir well in medium flame. 6. Then Add ghee little by little and Keep stirring until most of the liquid content evaporates and all the content form a single mass and comes of the sides of the pan then switch off the flame. 7.Garnish with fried cashews and serve hot . Increase or decrease the sugar based on the sweetness of the papaya.